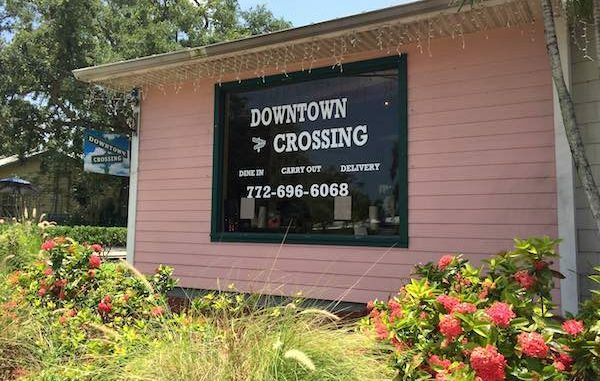 DownTown Crossing brings Boston favorites to Sebastian, Florida. SEBASTIAN – We’ve heard a lot about DownTown Crossing, a classic American restaurant with a Boston flavor, so we went in to check it out for ourselves. As soon as we walked in, we noticed they were busy, so we figured, they must be pretty good. Our waitress was very friendly and brought us a bowl of popcorn to enjoy as we looked over the menu. However, the popcorn was stale. The menu had a lot of options, and the prices are reasonable. They offer appetizers, soups, salads, burgers, sandwiches, club sandwiches, grilled sandwiches, baskets, and sweets. Many people have told us that their Lobster Rolls are excellent, and we did observe patrons enjoying them during lunch. 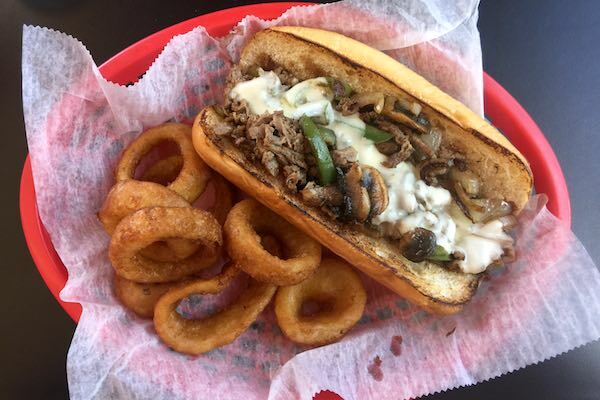 For our visit, we ordered a Cheese Steak Sub; it comes with peppers, onions, mushrooms, provolone and you can choose from french fries, onion rings, chips, or slaw. We choose the onion rings. The second item we ordered was a Clam Strips Basket, which comes with fries and slaw. Cheese Steak Sub menu item. We enjoyed the Cheese Steak sub; it was nice because it wasn’t greasy like a lot of cheesesteak sandwiches. Our onion rings were cooked perfectly. While we did enjoy the sandwich, it seemed bland. We tasted the onions and cheese, but we couldn’t taste the other ingredients. I expected these flavors when biting into the sub. However, that doesn’t mean it’s a bad sandwich. It was cooked differently than I’m used to. Anyone hoping to taste different flavors might be disappointed. The clam strips basket was good. It was the usual breaded and fried clams. The french fries and slaw were average. 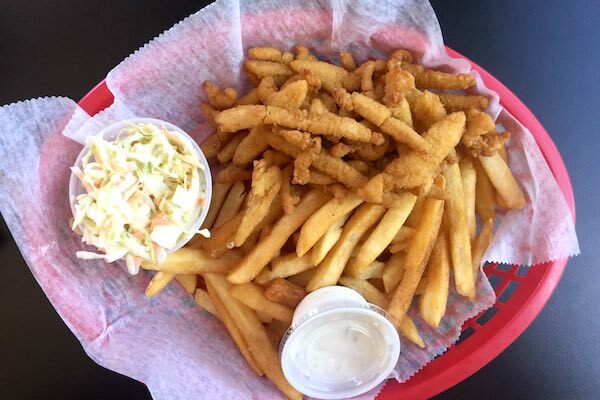 A basket of clam strips with fries and slaw. This place is also great for people who work in Sebastian with a 1-hour lunch break. The service is fast, and that’s important for lunch hours. We were in and out in less than an hour. The atmosphere is upbeat with light pop music playing over the speakers. Some of their unique menu items, for this area, were Lobster Rolls, and Fluffernutter sandwiches. We will be revisiting DownTown Crossing. Maybe next time we will try a Brownie Sundae! DownTown Crossing is located at 1103 U.S. Highway 1 in Sebastian in the Village Square. They are open Sunday thru Thursday 10 a.m. to 8 p.m. and Friday & Saturday 10 a.m. – 9 p.m.